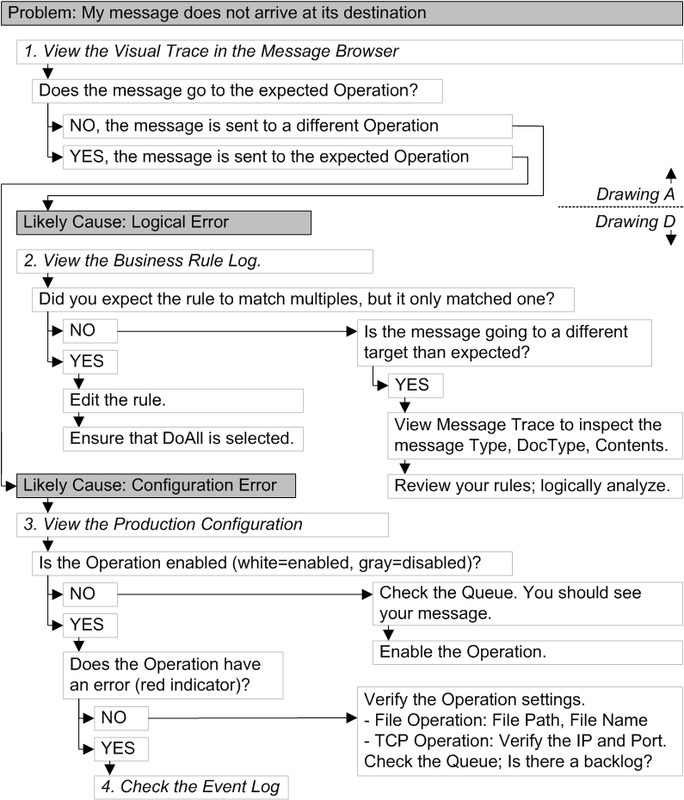 This chapter describes strategies for debugging the routing rules in an EDI message routing production. 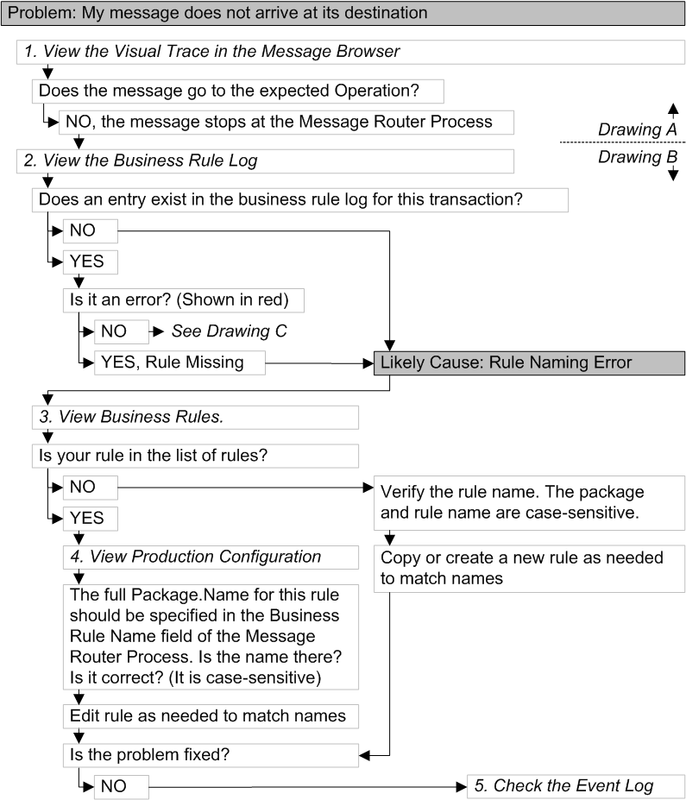 The primary symptom for problems in routing rules is that the message does not reach its destination. 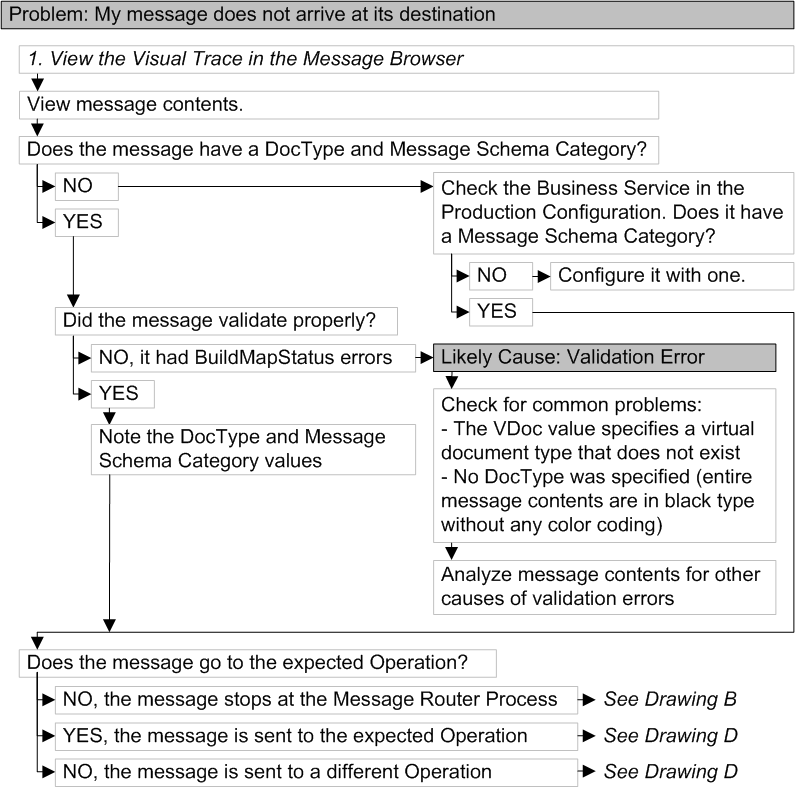 Perhaps the message reaches a point along the way, such as a business operation or routing process within the routing production, but it does not reach its target destination, which is generally an application server outside Ensemble. 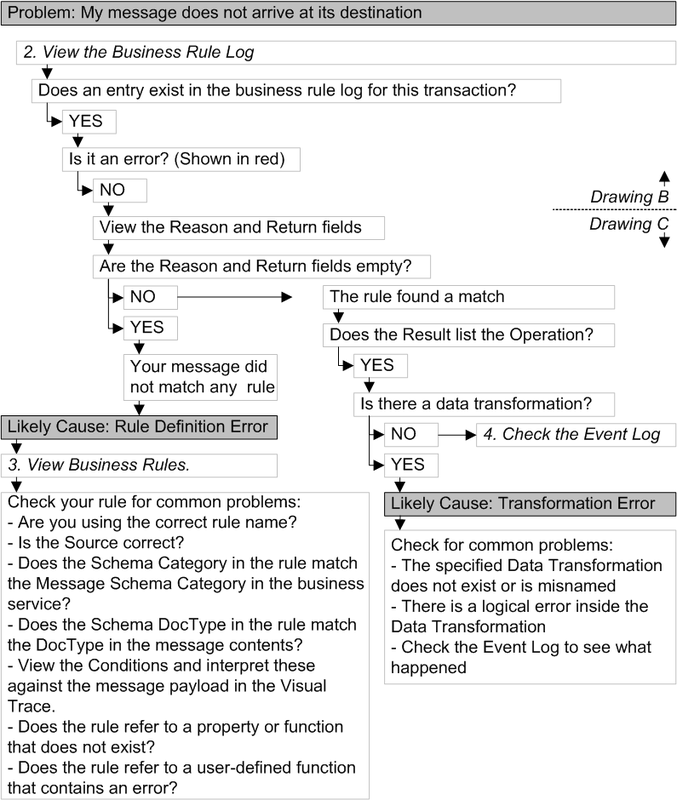 In that case you can follow the problem-solving sequence captured in the next four drawings: Solving Problems with Routing Rules, Drawings A, B, C, and D.